Kohl Children's Museum of Greater Chicago has commissioned a forest of trees for Trees on Parade. The logo has sprouted to life. At any given time you will see the strangest things at our factory. Product for Kohl Children's Museum, Hobart Indiana, St. Joseph Michigan, Cedar Rapids Iowa. At the Albarran home we have always stressed the importance of reading. And it has reaped great rewards for our children. Having the opportunity to build a this functional piece of furniture and artwork is a great pleasure. We welcome all public art exhibitors to get involved in a Sit n Read Parade. 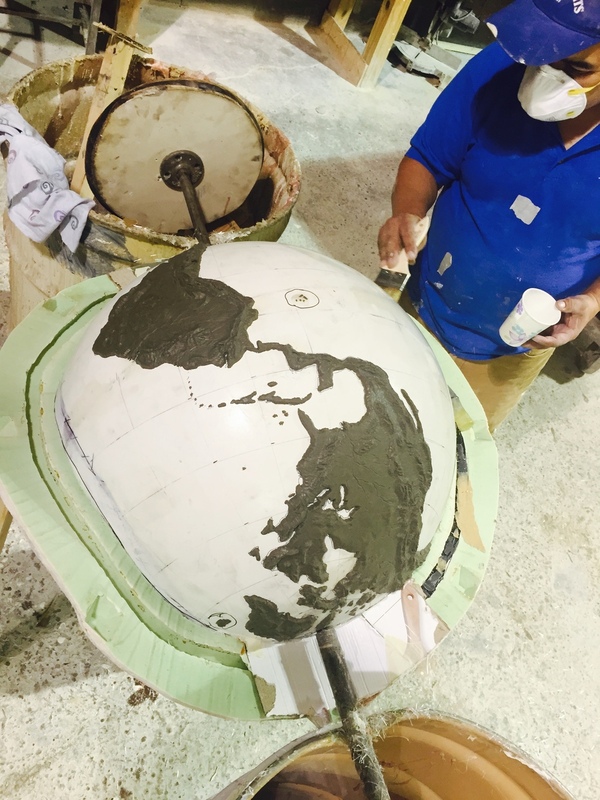 We are in the prototype stage and will update as our fiberglass book bench comes to life. Joe continues to add the detail to the book. Page lines are being etched into the edges. 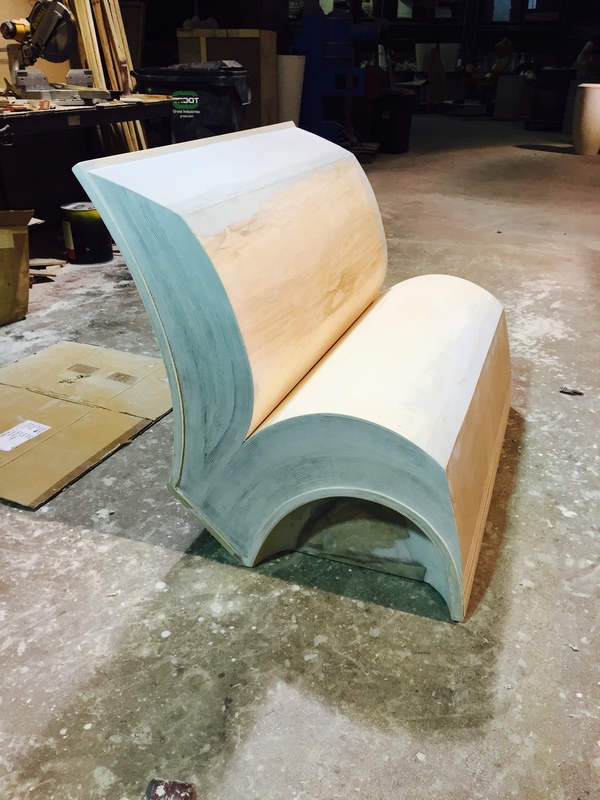 This book bench prototype will now go to the molding department where a fiberglass mold will be built and used to reproduce the original you see here. Welcome to our blog! 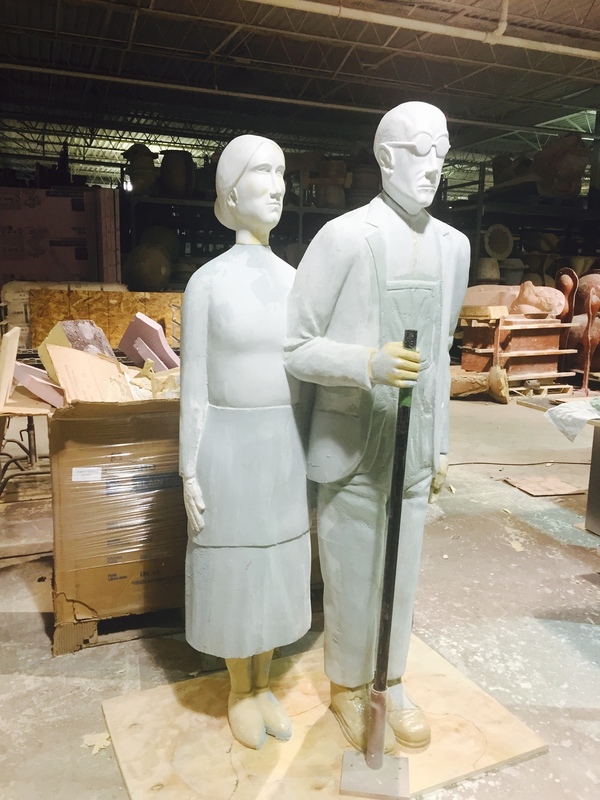 In addition to making amazing fiberglass statues we are now writing about it. We have a really cool project that started last month. 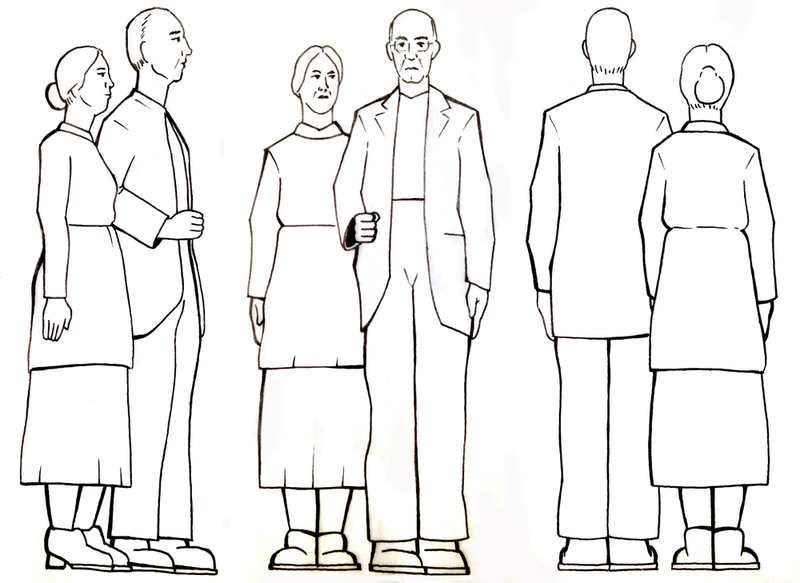 Grant Wood's American Gothic is being celebrated by his home town Cedar Rapids, Iowa. 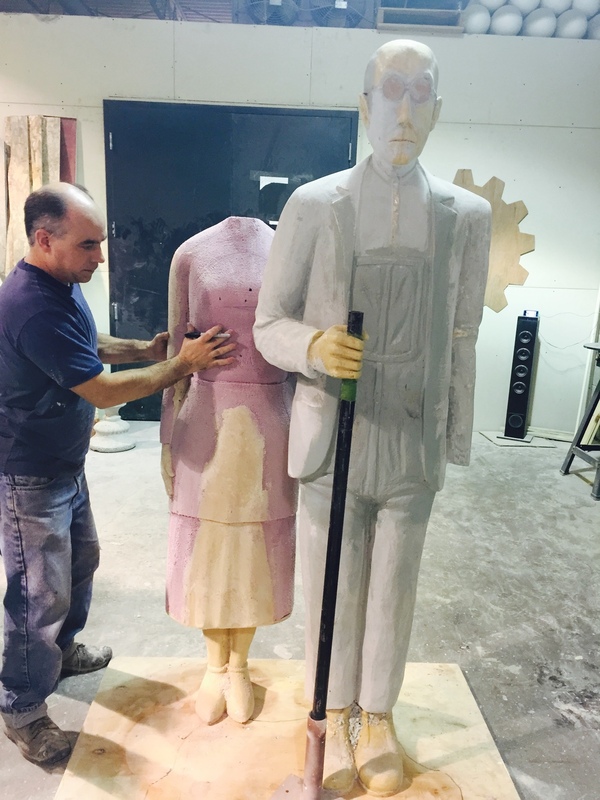 This mid western fiberglass public art exhibit is going by the name of "Overalls all Over". We want to thank Jennifer Pruden and Kristie Wetjen for bringing CFW on board for this project.